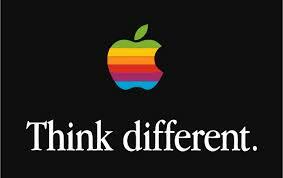 Logo for the Think Different campaign designed by TBWA\Chiat\Day and initiated by Jobs after his return to Apple Computer in 1997. This entry was posted in Apple, Computer history, This day in information. Bookmark the permalink.